These homeowners wondered if they could fit all they wanted into their narrow master bath: whirlpool tub for two, steam shower with ample bench, double vanity, expansive closet... Our answer: "Yes, you can—and more." 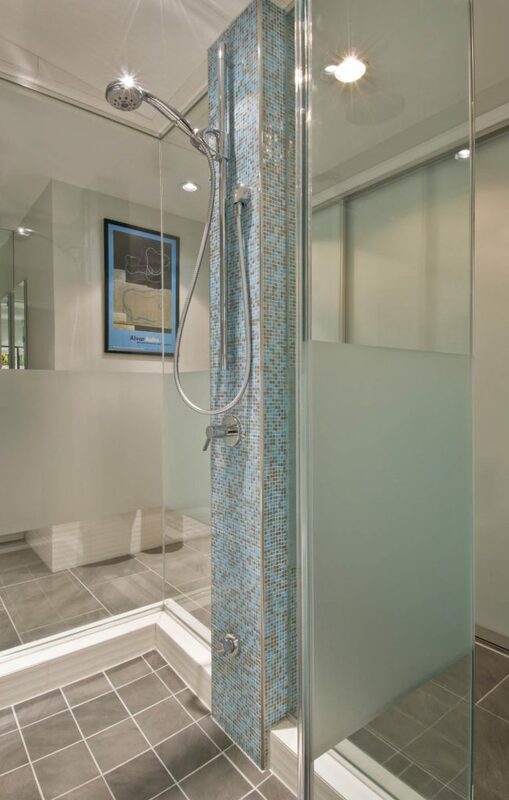 Rather than risk frozen pipes by placing plumbing in an exterior wall, we crafted a deft solution: An aqua-blue mosaic adorns a pillar that conceals the shower’s inner workings and keeps them safe. 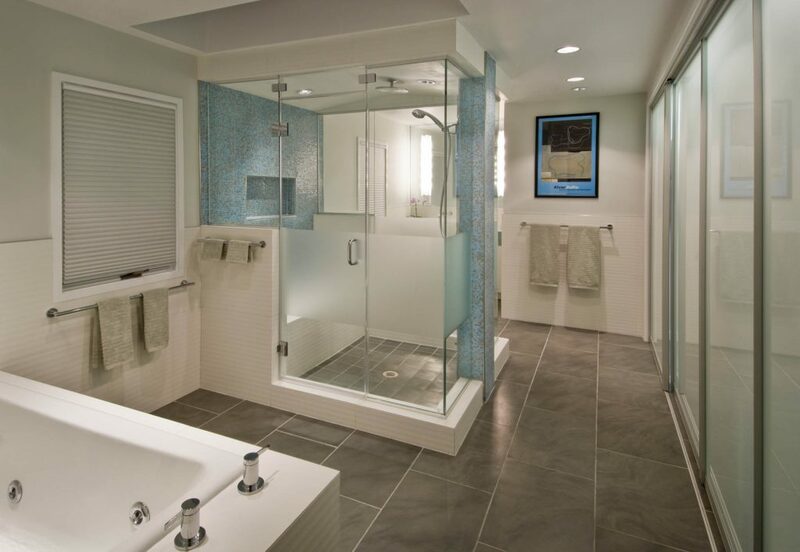 Frosted panels provide shower privacy — without sacrificing a clear sight line in the room. 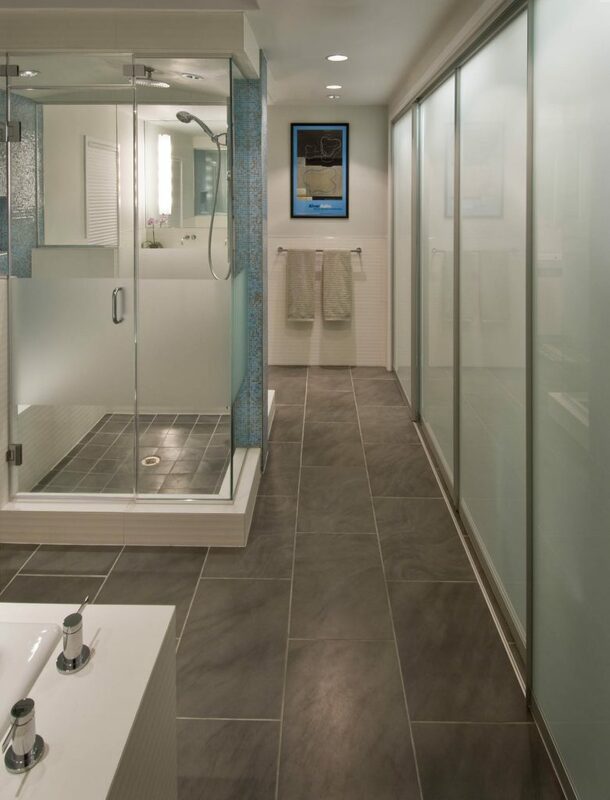 The glass-walled steam shower anchors the long, narrow space. Further keeping the mood tranquil: undulating while tile on the walls, stainless and chrome accents, and rich gray floor tiles that offer an unbroken threshold to the master bedroom. The gleam comes from a balanced combination of recessed overheads and bright vanity light bars. 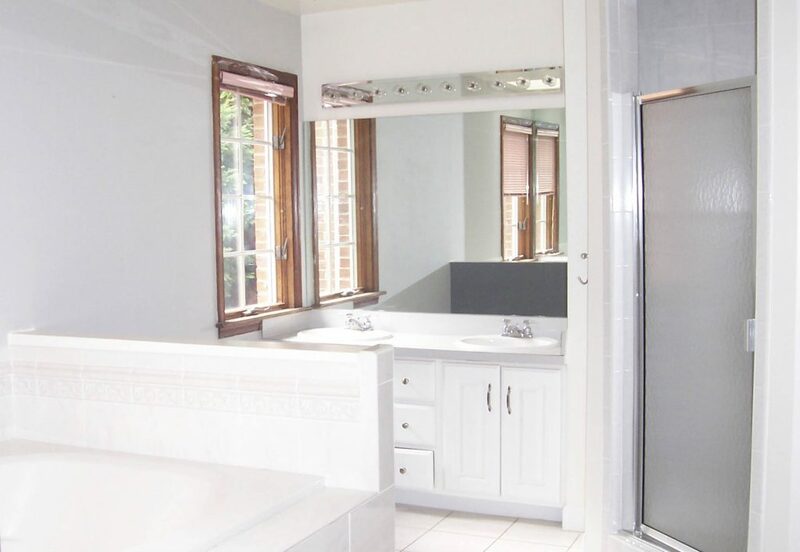 On one side of the shower, the tub; on the other, a double vanity. 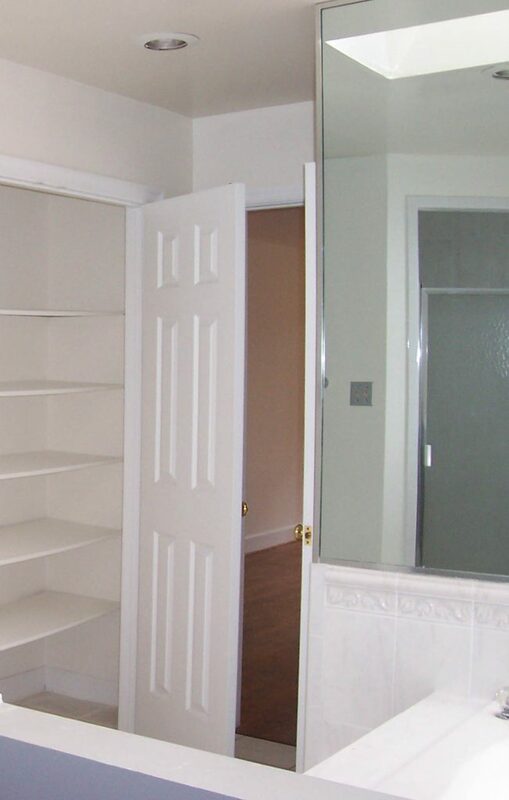 Along the wall runs a long closet with translucent sliding-glass doors. Behind the vanity, a recess lets in morning light and carves out space for the laundry area. Featured in Professional Remodeler, Master Bath Masterpiece, Feb 2009. 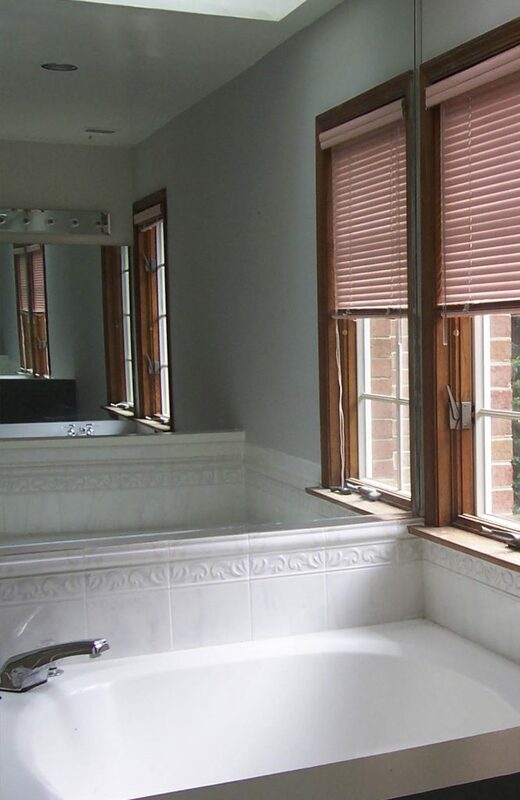 Awarded the 2008 National Association of the Remodeling Industry (NARI) Capital CotY Award: Merit Award Winner for Residential Bath.